Single Replacement Hook X-Strong - Perfect for replacing trebles on freshwater and inshore baits. These are a great for fishing areas with lots of grass or cover that make fishing with treble hooks virtually impossible. 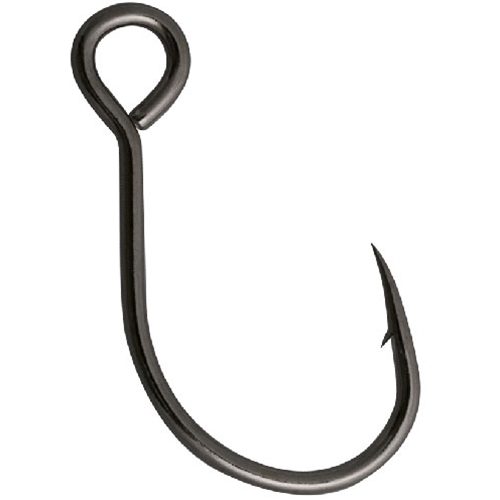 These single hooks are a lot less damaging to fish when practicing catch and release. Always be sure to rig the front hook with the point facing forward and the rear facing rear. Features include Black Chrome finish and Super Needle Point.